← See mummy, the roof is covered in solar panels! 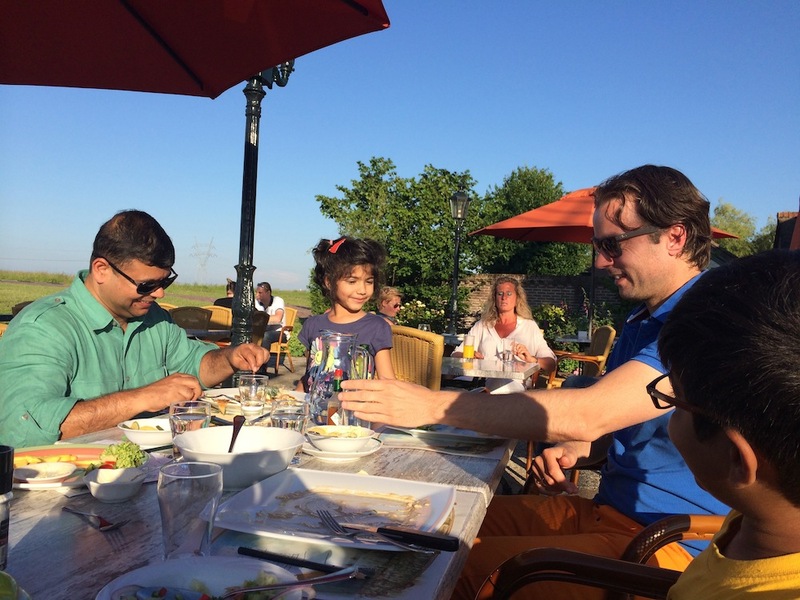 Dinner at a windmill: How Dutch can we get? 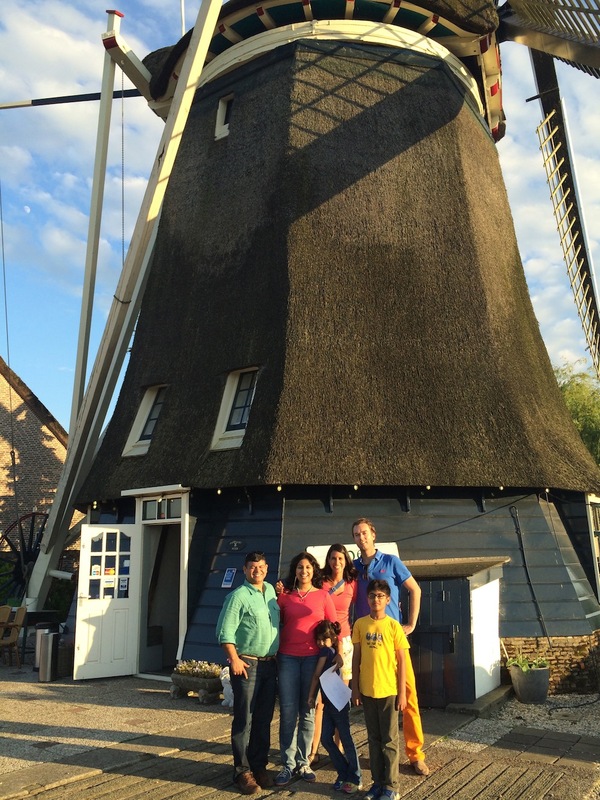 One of the highlights on this time’s Netherlands trip, for all of us, was the lovely dinner Anne and Marijn had planned for us at De Molen, a traditional windmill converted into a restaurant. 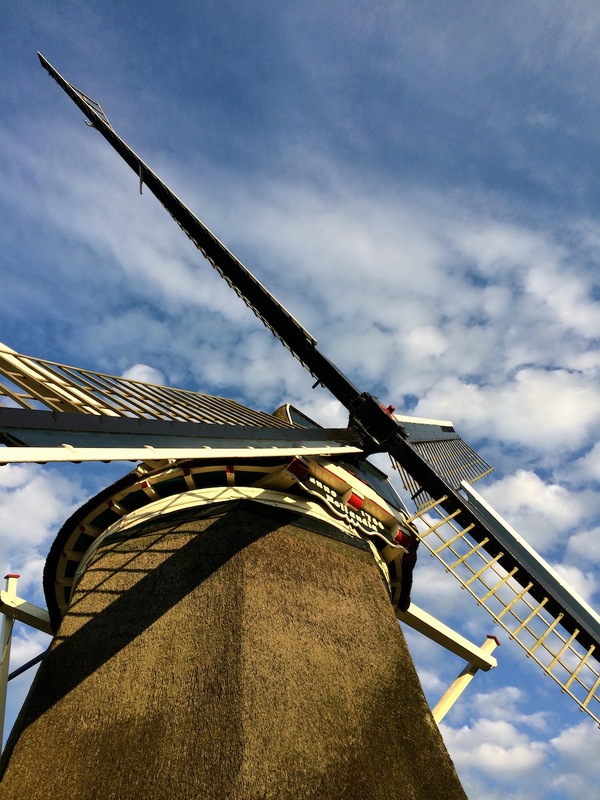 There are several of these in The Netherlands and it was a great introduction to the Dutch countryside as we drove from Amsterdam through lush green fields, pretty canals and past picture-perfect provincial homes and farmsteads to the this fantastic old windmill, all restored and poised, waiting for us. It was a lovely summer evening. 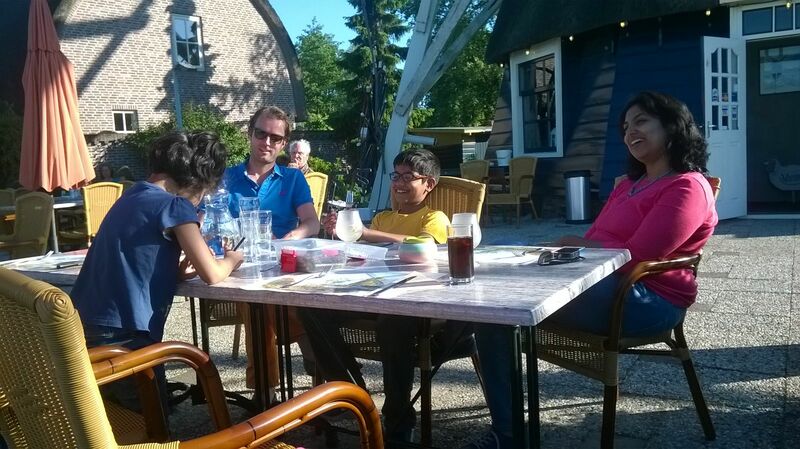 We had only been in The Netherlands a couple of days and were easing into the peculiar feel of the European summer. Long leisurely evenings full of light, gossip, laughter, relaxation. Time to explore, or just be! The windmill was the perfect place to do all of that. Built in 1766, windmills like this are scattered all over the countryside, many of them rebuilt from scratch to their original glory. 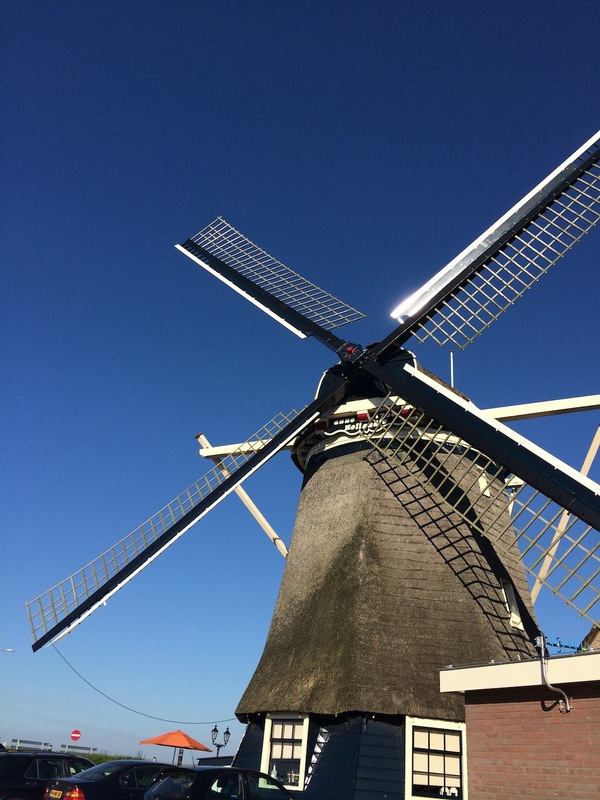 While they performed the all-important job of using the wind’s energy to grind cereal in the pastoral 18th century, today these structures have become a touristic symbol of Dutch culture, along with tulips and clogs galore! The Dutch love to conserve the past and it’s delightful to drive by numerous windmills even as you see the countryside dotted with modern windmills as well! I loved the way this structure has been creatively re-used, maintaining its essence and character. A family run restaurant meant it had a distinct charm and standard of service that made the experience especially pleasant. So through this perfect summer evening, we (the lazy grown-ups) chilled and chatted with the windmill behind us, while the children explored the nearby canal and a little ‘island’ they found there. 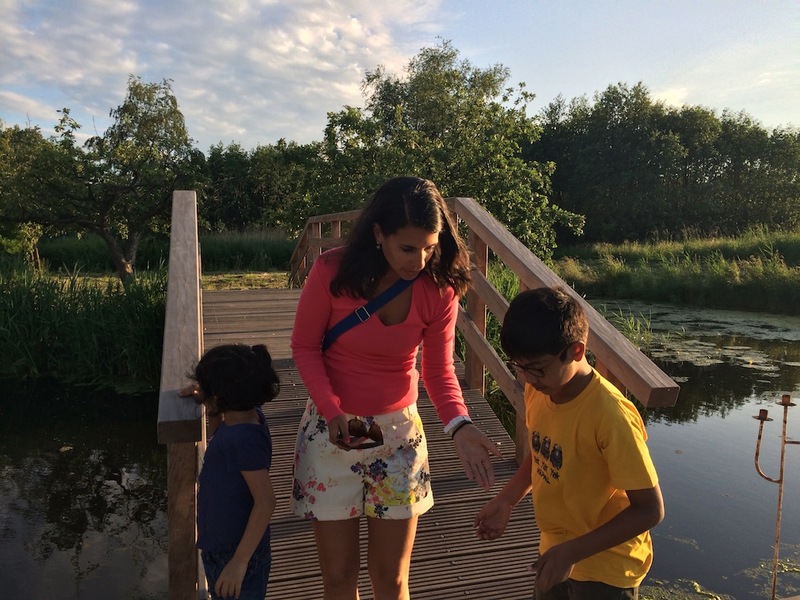 At some point, Marijn got them into skimming stones over the water and that kept them busy for a long long time. They gave Aadyaa a windmill pic to colour and she diligently did that for a bit! The menu at De Molen was a small selection, not designed to confuse certainly. And we could all choose something quite different. Rahul ate a pork Schnitzel (we would mostly give that a pass in Germany, but it was very good this evening), Udai had a dish of pork tenderloin that he pronounced was excellent, I had a very typical Dutch dish that comprised a super thin well-cooked fish fillet. Marijn also had the schitzel while Anne ate something that looked particularly healthy! The desserts were fantastic. Apple strudel and a sinful chocolate concoction sealed the deal for us. 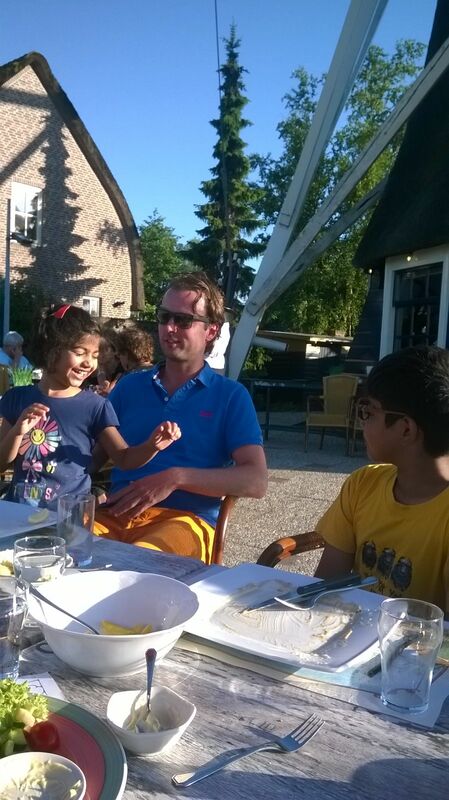 We returned home to Haarlem one set of very happy holidayers! 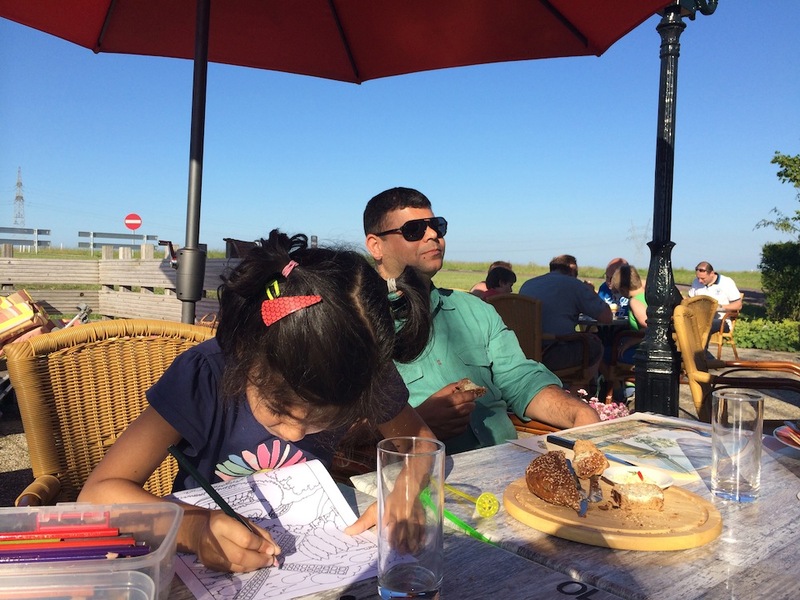 Posted on June 26, 2014, in Travel & Experiences and tagged De Molen, family, Holland, restaurant, summer, Summer 2014, The Netherlands, vacation, windmill. Bookmark the permalink. 8 Comments. ppl like us need a few lifetimes in one go! don’t we? I was thinking the same, so many things to do and places to visit.